The current system of zoning and planning is wrongly fixated on maintaining state instead of preserving good patterns, and changing this fixation will be the key to making growth beneficial to all civic stakeholders. The most contentious issue in North American urbanism today is preservation. More than transportation, more than usage-zoning, more than health and safety, more than growth, which all had their day as the driving intent of urban planning, preservation is now the intent behind the most politically active movements in planning. Politically active is the important distinction, since unlike other areas, preservation does not grow out of a forward-thinking ideology, but is essentially reactionary, arising from local residents organizing and pressuring local elected powers to keep things close to their current state. What passes as preservation today is not so much the enhancement of a valuable feature but a rejection of change. Many reasons are typically given by political groups for why the restrictions are necessary, from protecting communities against gentrification, traffic, rising housing costs or falling housing costs, to protecting endangered local species or ecologies. Typically, the effect of those policies is always the same: rising housing costs as demographic pressure increases demand, while supply has been fixed at current levels. “Housing costs”, in this case, is a term of confusion: the building stock is not becoming more expensive to maintain, but the rent carried by the scarcity of habitable space is increasing. The residents feel richer from rising property values (despite living in the exact same houses, and deriving the same enjoyment from them), the local politicians are reelected, and everyone seems happy with the outcome, until someone forms the Rent Is Too Damn High Party. It turns out that keeping things exactly the same is a form of economic exclusion that exploits demographic trends, namely, denying access to new households formed by the young and newcomers. A fixed housing supply means every new household has to take the home of an existing one, and households who wish to expand must take homes away from other households. It is unsustainable, unfair, and otherwise possible only because of a mismatch of scales between building code legislation (local) and demographic pressure (regional). The solution of merging local urban governments into larger urban megacities, or taking their land use powers to a higher tier of government (as is the case, for instance, in Japan), has been used to settle the matter in now-booming construction markets such as Toronto, where more residential towers are under construction than in any other North American city except for Mexico City. It is a solution that is clear, simple, obvious, and wrong. It is wrong because it is politically unstable and requires constant force to maintain itself. Toronto is the poster child for urban amalgamation in North America, having been redrawn by its provincial governing body to include over a million residents in sprawling suburbs such as Scarborough and Etobicoke that would easily constitute major cities on their own elsewhere. While such mergers may look like a success at the moment, the election and subsequent global infamy of Mayor Rob Ford shows that forced cohabitation in a political institution between suburbanites and world capital cities can have the opposite outcome than the one sought by amalgamation. Rob Ford was elected by mass support of the amalgamated suburbs. Current mayor John Tory, elected for his first term in 2014 but who received little support from the suburbs, will be judged by how suburbanites perceive their success in the political life of the city, instead of feeling as though they are solely a source of tax income. Should he fail, someone cleverer than Rob Ford (perhaps his brother Doug) will successfully harness the suburban electorate’s resentment to propel himself to power over Toronto’s newly ultra-dense central core, and this cycle of division will continue. I personally feel this political cycle to be wasteful and unnecessary, and therefore propose a fractal view of urban incorporation and regulation, where cities are delimited by purpose and specialization. This would mean that local property owners would continue to wield the power to restrict new construction in their neighborhoods. I think they have the right to do so, that in fact it is the better outcome for them, although it may not yield the best possible outcome for everyone at the global scale. To transform the outcome from a local optimum to a simultaneous global optimum, I will present an argument for a system of preservation that I hope will satisfy both the anxieties of property owners and the demographic pressures faced by cities. I argue that the current system of zoning and planning is wrongly fixated on maintaining the current state instead of preserving patterns, and that changing this fixation will be the key to making change and growth beneficial to all city residents. Before such a claim can make sense, we need a framework to analyze preservation and show what makes it appealing and successful. We must step back in time to the first applications of preservation, when it was once synonymous with urban planning. We will then demonstrate its evolution into more layered systems of preservation — including systems designed as recently as twenty years ago — to show that the problem with the ruling building codes is their insistence on stopping change instead of allowing it. Preservation succeeds with change, not by working against it. The tradition of “town planning”, until roughly the mid-19th century, meant preserving a system of spaces for movement that would not fail when a settlement grew into a populated city. There were fashions in this tradition, such as the Roman grid being rediscovered and reinvented as the baroque radial grid, some nationalistic styles such as the English crescent, and some ideological patterns such as the Manhattan grid, meant to maximize economic activity. What this kind of planning presumes is that open space for circulation is scarce, fragile, and completely fundamental to a city’s success, and by regulating what space may or may not be built upon, some large-scale success can be achieved. In contrast, an “unplanned” town may be a random settlement that increased in density until the natural paths became contested and protected from further encroachment — notable examples include the medieval cores of Rome, Paris, or London. These protected spaces eventually became named streets that lasted centuries, perhaps millennia, though their design has improved over time, acquiring pavements, sewers, lighting, subways, circulation signals, bike lanes, shared spaces, and so on. This phenomenon of preserved structures improving over time will be essential to the success of preservation as a method, as we will see next. 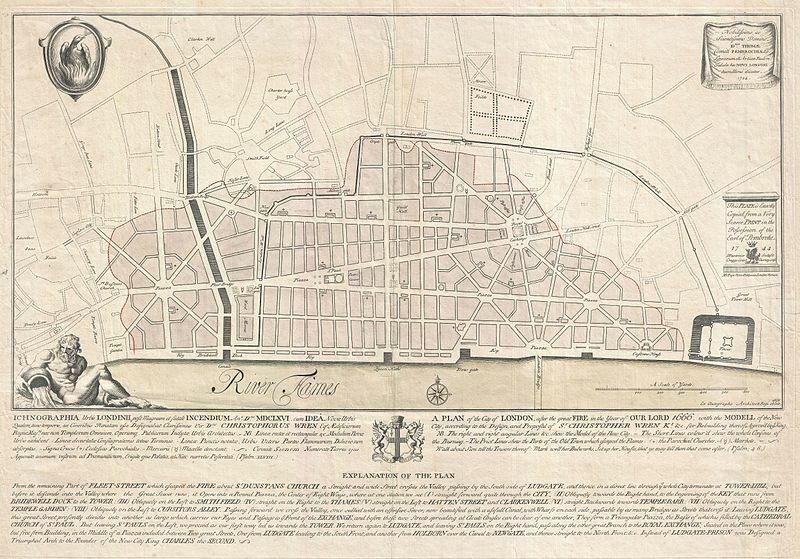 Sir Christopher Wren’s city plan for London never overcame the forces preserving the existing street grid, despite the building stock having been razed by the Great Fire. The street grid was nevertheless improved by widening. “The idea is pretty simple. Take nine square blocks of city. (It doesn’t have to be nine, but that’s the ideal.) Rather than all traffic being permitted on all the streets between and among those blocks, cordon off a perimeter and keep through traffic, freight, and city buses on that. … In the interior, allow only local vehicles, traveling at very low speeds, under 10 mph. And make all the interior streets one-way loops (see the arrows on the green streets below), so none of them serve through streets.” — Barcelona’s 19th-century hygienist grid evolves to 21st-century mixed-use superblocks. While open space may be the most strategic endowment that a city starts with, other kinds of endowments may also be given by the natural world. The Mediterranean world of the late Roman and Byzantine Empire began a tradition of preserving the sea itself, in addition to access to light and space to circulate in town. When new building was called for due to natural demographic change, this building had to conform to strict rules regarding existing buildings’ lines-of-sight to the sea. The growth of the Mandelbrot set fractal preserves the set through a sequence of successive iterations, leaving greater complexity at each step. Mediterranean building codes assumed change was natural and constant and described how cities could change by implementing proscriptions on growth. The details of the rules relied strongly on context, making the system of preservation highly adaptive and, over time, increasing the natural complexity of the boundary between the city and the sea. In other words, the feedback loop introduced by the preservation of sea views and the construction of new windows onto those views gradually created a very deep fractal, so that gradually the natural beauty of this fractal overcame the beauty of the sea. This explains the popularity of sites such as Santorini, which, despite being located in the middle of nowhere (it is reached only by boat and accessed by riding a donkey up narrow stairs) and having no remarkable landmarks or attractions, is one of the most famous tourist destinations of the Mediterranean. While a town where everyone painted their homes in pastel colors may suddenly discover that pastel houses are now part of the definition of the town, and may elect to preserve the practice by requiring new buildings to also be painted in pastel colors, there are conditions to this type of “historic” preservation that must be respected. Most significantly, historic landmarks are only effective within the historic context that produced them. The Eiffel Tower is often used as a kind of logical defence for bad architecture; the claim is that it was rejected by Parisians when it was first built, but came to be loved later on. It follows that people grow to love old things simply through the impact of time; therefore, ugly things only need time to be loved. 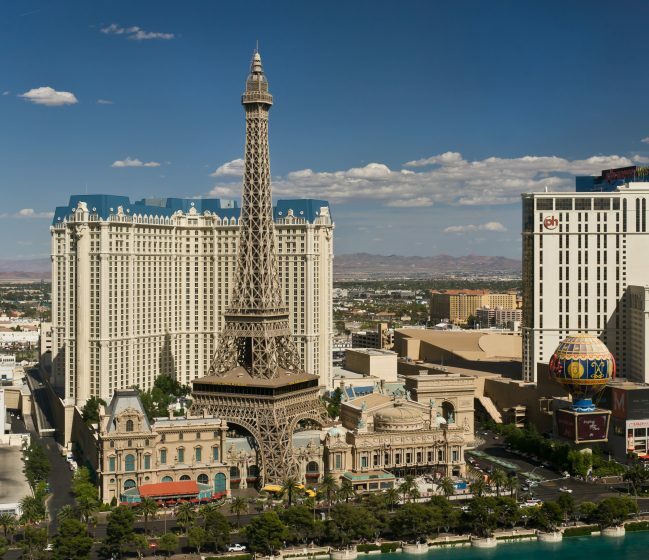 The absurdity of the claim is obvious when the Eiffel Tower is reproduced as an exact replica in a completely opposite context from its original place, in Las Vegas, Nevada, as the landmark attraction of a casino resort. We see that without the surrounding context of the Champ de Mars public garden and the Seine river, without the Parisian urban fabric framing it, without the historical importance of the tower as the centerpiece of a landmark universal exhibition, the Eiffel Tower framed by Las Vegas hotel blocks and Nevada desert is actually quite silly, although cutely ornate, in comparison. No one would feel any sadness if its demolition were announced today, because it ultimately means nothing in history. The Eiffel Tower of Paris, on the other hand, represents a golden age for France — it is the sole remaining structure of Paris’ universal exhibition, and has come to be the iconic logo of the city to the rest of the world. The Eiffel Tower no doubt played a major role in achieving Paris’ status as the most visited tourist destination of the entire world. 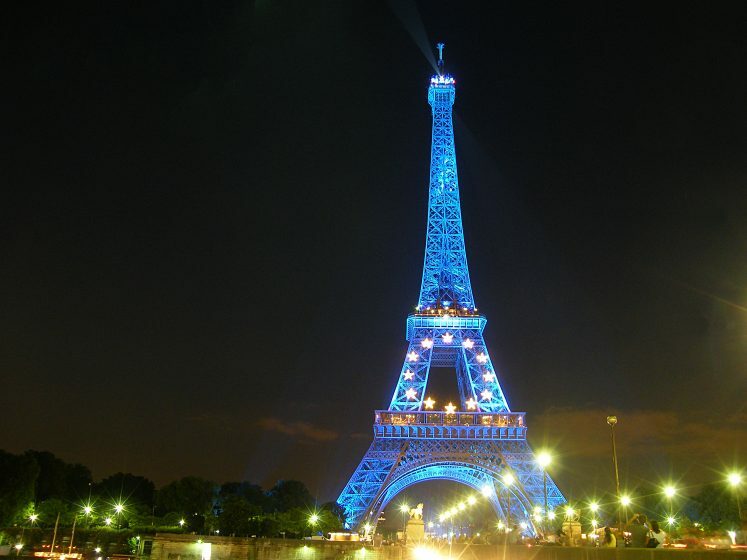 Despite its protected status, the Eiffel Tower continues to iterate on its purpose. Since context plays such a critical role in successful historic preservation, sometimes a set of purely ephemeral structures can achieve historic value. This is the case of the Midtown historic district in New York, where unlike anywhere else in the world large, bright advertising billboards are now mandated by the building code. The original purpose of those billboards has been replaced by a sort of symbiotic relationship — a billboard-centered attraction, which draws visitors to it like Santorini or the Eiffel Tower attract visitors. 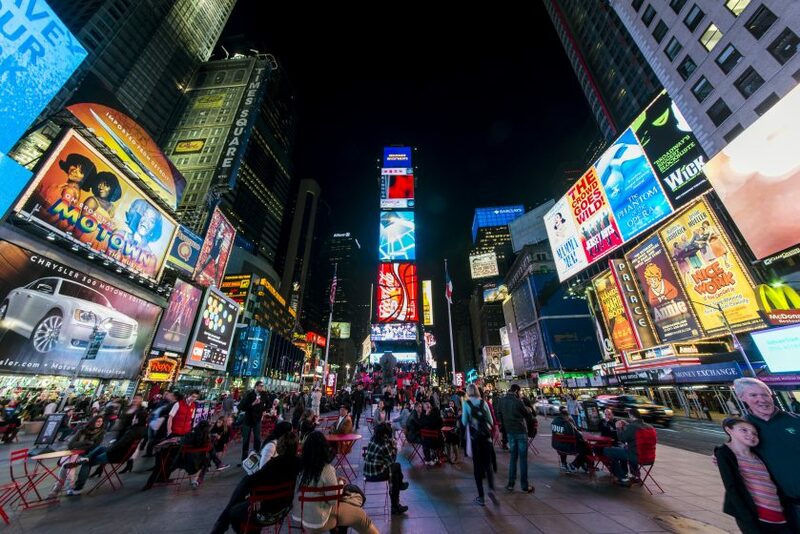 The change in advertisements and billboard construction is rapid, but one expects to return in a decade and find the same Times Square. That is a highly iterative and adaptive preservation of the pattern. Times Square historic district — It doesn’t really matter what the ads say. We can infer from these successful applications of preservation that, while the features being preserved can be either naturally-occurring or man-made, they are observed and preserved from the environment instead of being designed and intended. They require an ecological perception that recognizes the relationships between things and also allows them to increase. In this way, new layers of patterns nested within the preserved patterns can appear, and can themselves benefit from preservation. This condition for successful preservation, how far change and adaptation are possible within its framework, gives us a potent tool to analyze the planning codes of modern cities. Modern cities, including most of what’s called suburban sprawl, were created with preservation of their products already built-in, through zoning codes and building ordinances that defined a final or static purpose for land use. And even where the existing urban fabric had undergone a century of iteration, such as the boroughs of New York City, a planning operation of “downzoning” has sought to fix in place the current land uses. It appears that much of what passes as preservation today is not so much the enhancement of a valuable feature that is the product of natural processes and growth, but a rejection of change. Everywhere we turn in local planning, not-in-my-backyard-ism is the dominant political force. Only when we recognize this as a common pathology across many different kinds of urban communities can we begin to inch towards a solution to many of the affordability and adaptation crises afflicting us. The most important question that must be asked to find a solution through this pattern of rejection of change is: how can change be good at the local level? There is no doubt that increasing density of housing, jobs, commerce, recreation, and culture is good at the general global level, but it is at the local level that it is rejected, and the global level is nothing more than the aggregate of local politics. Preservation has historically provided a part of the answer to that question by ensuring that the valuable parts of cities were not only kept throughout changes, but were even improved. In the case of modern cities, constructed using automobile-centered, low-density, artificially-distant patterns of urban development, a question begs to be asked in the arguments of the preservationists—what about them, if anything, is even worth preserving? But a more important question would be, what is it about them that could improve through change instead of letting them decay or fall apart? 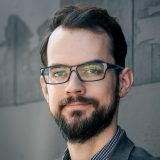 If the sole focus of a campaign to increase the housing supply in a city is to build more, anywhere, at any cost to the neighbors — a campaign justified out of a natural property right to build — then the neighbors will rightfully object to a threat towards a common pool resource of which they consider themselves the protectors. Such conflicts become power struggles over the city’s building codes and planning ordinances and, so far, the better-organized local homeowners have been winning decade after decade. But what if we were to accept that it is also a natural right to prevent harmful change to a neighborhood? If we reframe the political debate so that it becomes about “what kind of change would improve this neighborhood?” then the neighbors are required to fire up their imaginations and look for potential answers. A good deal of the answer has to come from architecture. For most of history, urban construction could be expected to be more attractive than the things it replaced, creating richer, more complex façades, and taking away the natural world in favor of something that at least took inspiration from nature. 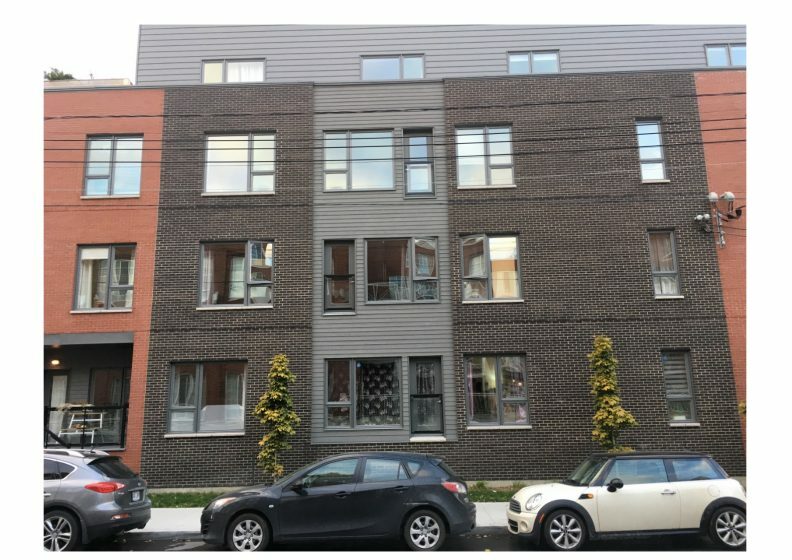 One could expect, when new construction began across the street, that the noise and dust of the construction site would soon be replaced by a work of art that would do wonders for property values in the immediate vicinity. At some point within the last generation, architecture retreated to ideology instead of beautification, and the building industry took advantage of the situation to cheapen buildings to the point that, today, no amount of ideology can conceal the bare, off-the-shelf parts and lack of investment in most urban construction projects. New construction condominium completed 2015, Montreal. Also seen everywhere else. The logic of neighborly architecture is actually quite simple. If the patterns we use in new construction are symmetrical to the patterns in existing, surrounding constructions, the final pattern will connect all of them into a larger encompassing structure. Today, however, new buildings are largely designed with no integration of their context, even when designing an extension of a building. What matters is driving costs down (or up, in the case of high-profile starchitecure) at the expense of the costs imposed on the neighborhood through landscape destruction. The street façade of London’s Royal Opera House was extended twice, once with symmetries of the column patterns in a new context, and a second time (on the left) with barely any symmetries at all beyond the bare materials. Another part of the solution has to come not from the builders, but from the public space managers. Once an automobile-oriented mobility network is in place, it can only trend in the direction of more traffic. Those who purchased their homes in new suburbs, at the height of their marketability, inevitably see decline after decline in their enjoyment of automobiles, as farther-removed suburbs are built, putting more cars in the way of their destinations. 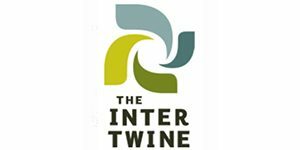 The opportunity exists to take advantage of the enormous amounts of space used to buffer buildings from streets to create a second overlapping network of walkable public spaces, one that would be managed for the purpose of inviting walking instead of just supporting it out of regulatory necessity. This would have the effect of psychically liberating people from their cars, as they would see the opportunity to pleasantly connect journeys on foot instead of having to struggle with traffic. Such an effort requires investment not only in road alterations, but in a new way of managing spending and organizing public works. The traffic engineers currently tasked with building roads for optimal traffic flow are the worst suited to this task. The people who run the parks departments are the best suited, being focused on delivering relief from stress. And another group — comprising those people who, today, plan shopping malls — knows a lot about how to make a space “strollable”. Just imagine what they could do if they were relieved of the burden of maximizing commercial rents. If it could be shown that, yes, things can change for the better in our neighborhoods — that change can actually improve neighborhoods by producing more sophisticated architecture and more opportunities to move around — then the argument for static preservation would fall apart. A positive feedback loop, where change succeeds so well that it invites more change, may emerge. We are already seeing this in historic core cities such as New York, where controversial redesigns of public spaces under “pilot projects” over the last decade have radically reshaped the human experience of the street, starting from one intersection at a time and building momentum. Each of these projects was conservative in scope (contradicting the “make no small plans” motto of urban planning) and preserved most of the city’s mobility grid; yet, once completed and accepted as normal, these projects made the city less dependent on that grid and more willing to trade it in for more space. Such a pattern is also a model of preservation, where what is preserved gradually becomes superceded by something greater, ultimately making it less necessary and no longer in need of preservation. This, after all, is the root cause of the problem. For most of our history, building and planning codes existed to manage the process of change, which made reforming and adapting the system natural. Reforming a system whose express intention is to keep things the same means almost nothing can be salvaged from the system’s procedures — which will always produce a system meant to keep things static, even if they are in a new, different state. We would gain nothing in adaptive capacity and complexity from such an effort. 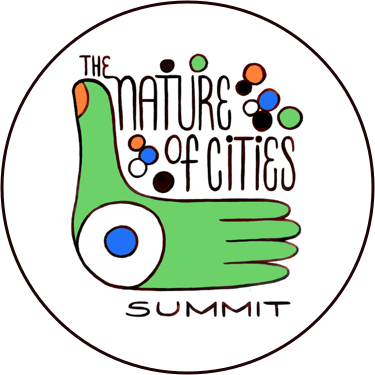 If, instead, we accept that the current physical state of things is worth preserving, but is not the final state of urban growth, then the search for improvements and protections through change will slowly accrue momentum. The architect and scientist Christopher Alexander describes the natural process of morphogenesis as changing states while preserving as much as possible of the existing structure of things, thus minimizing the energy expended to change. Preservation is the transposition of this principle to a coordination solution among many people. The shortfall in its application, I suspect, is a problem of missing language. We lack the words to describe what, where, when, and how to preserve in this way. For a city such as the modern suburban autotopia, the absence of change and the novelty of it means our language must start from scratch.